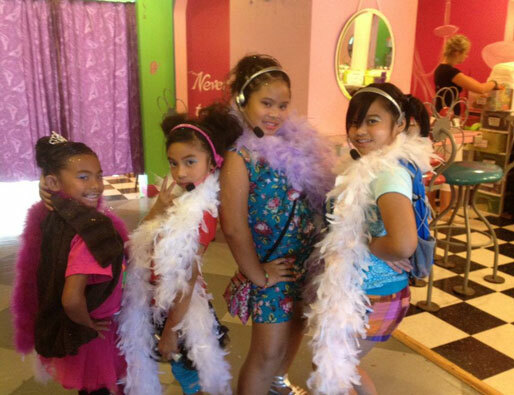 - There is a 7 girl minimum for makeover parties / birthday parties (no maximum). - Parties range from 1 hour to 1 ½ hours depending on number of guests. - We have a party room available for rent after your girls are all made up. It costs $80 for one hour, tables and chairs are provided. Feel free to have pizza delivered to the store or bring any other outside food. - Booking a party requires a $50 non refundable deposit, can be made over the phone or in store. 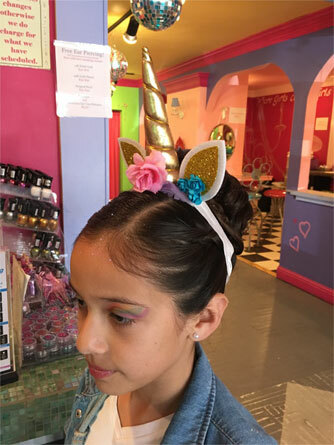 Receive unicorn headband with styling to match! Dance after at the dance party and play games. Become a Princess with a tiara, Rock Star with a microphone, or a Diva with a hair piece! This party is sure to capture all of your party guests inner glamour girl! Become a Rock Star with a microphone at our snazzy Rock Star party. Your girls can be super crazy Rock Stars with a look that is sure to excite. Rock Star shades included! Become a fairy Princess, each party guest will receive a beautiful glittering tiara and fabulous magic wand. The birthday girl will take home a beautiful “Happy Birthday” tiara to make sure everyone knows she is a Princess on her special day. Become a Diva with a fancy hair extension. At Razzberry Lips the Diva treatment also includeds your choice of an array of colored sunglasses and feather boas. Being a sassy Diva has its perks! Become a flower child at razzberry lips complete with your own flower hair clip to take home! Girl power! Become a Dancing Diva with a sweet and sassy hair style as unique as can be! Makeover includes a feather boa and a sparkling tiara. 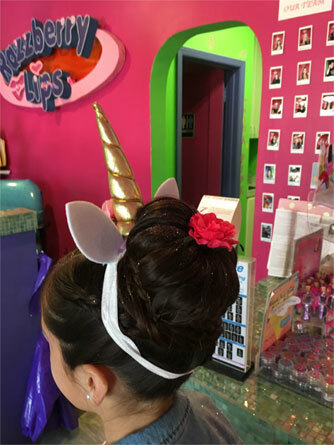 Our girl's parties, princess parties, and makeover parties are available all over the bay area from Los Gatos to San Jose, Santa Clara, Sunnyvale, San Francisco, and Morgan Hill.